Another day, another successful Women in Tech meetup. 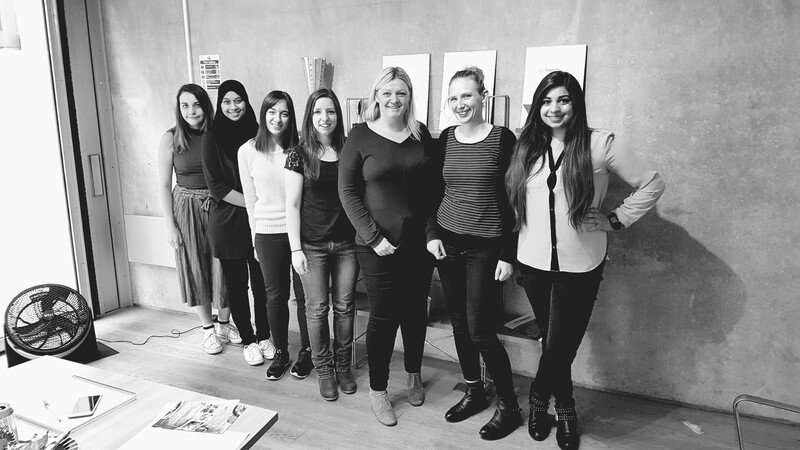 This time the ladies at PushON got the pleasure of meeting with Magento specialist Toni Procter. Being 1 of 2 women in her department at work and in a male-dominated role, we wanted some insight into what’s it’s like being a woman in web development. It’s no secret that woman developers are outnumbered by men, so let’s run through some numbers. Currently only 17% of employees in the UK tech industry are women and back in 2016, girls taking ICT or computer science at GCSE and A-Level fell by 12%. These subjects may appear to be the typical ‘laddish’ subjects which puts younger girls off. However, we’re on a mission to turn that around and help spread the message to help the ladies be much more confident in making decisions! So we brought in Toni to give us some insight into her coding journey and what she thinks about younger girls taking on these roles. We learned from Toni’s meeting that she has a charismatic approach when it comes to going the extra mile to get to the position she’s in: a Magento Certified Frontend Developer. And she’s absolutely killing it! Starting off in SEO, she sacrificed a promotion for a slight cut to start as a junior developer and climb her way up. Toni took her own time outside of work to complete a coding programme to add to her profile. We really admire the sacrifice she took in order to follow her instincts into coding. And her talents don’t end there: on the side she’s a fitness instructor! We really admire Toni’s enthusiasm and want to see this with the younger generation of girls going into their A-Levels and choosing their career paths. There’s nothing more empowering than a woman who believes in herself and goes out to do what she loves. Forget about the fast lane. If you really want to fly, harness your power to your passion. Honour your calling. Everybody has one. Trust your heart, and success will come to you. Toni no doubt gets a stamp of approval from us; as an inspirational woman in tech! Lastly, I found this very interesting: the 100 inspirational women from Greater Manchester on the MEN. It’s always a great thing seeing women celebrate each other’s success!